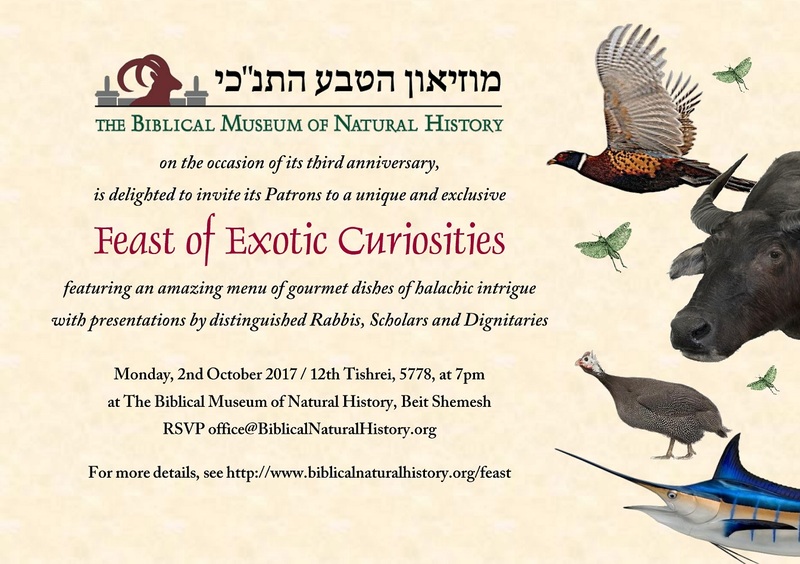 The Biblical Museum of Natural History, on the occasion of its third anniversary, is delighted to invite its Patrons to a unique and exclusive Feast of Exotic Curiosities, featuring an amazing menu of gourmet dishes of halachic intrigue, prepared by internationally renowned Chef Moshe Basson, with presentations by distinguished Rabbis, Scholars and Dignitaries! This event will be different from last year's, in terms of the menu. Last year's event was a Feast Of Biblical Flora & Fauna - it was specifically Biblical foods. This year's event is virtually all non-Biblical foods, of exotic culinary/halachic natures. What was the menu last year? Please post it clearly. Thanks so much. If you can make this same event in New York (with sufficient advance notice) I will try to come in for it and so will, I think, many others. 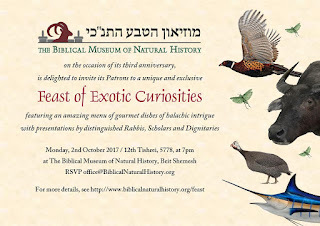 I should have added, though I'm sure you know this, your Bar Ilan colleague Ari Zivitovsky put on one such exotic animal dinner in NY roughly 10 years ago. If you want to do one there [which I would suggest] he might be able to point you in the right direction. 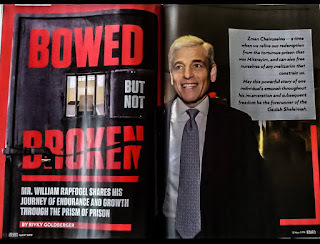 I was at that dinner, and Ari is my colleague at the museum as well as at Bar Ilan!